Blame the Interstellar cloud indeed. Dr Paul Laviollete could indeed be correct on Galactic Super wave pushing dust into the Suns Heliosphere and then it's Flaring like popcorn popping. Then the 10,000 BP +/- final migrations as Global oceans ended that world's relaxing beachfront. There is if course lots of orbital debris streams in the dynamic moving solar system. 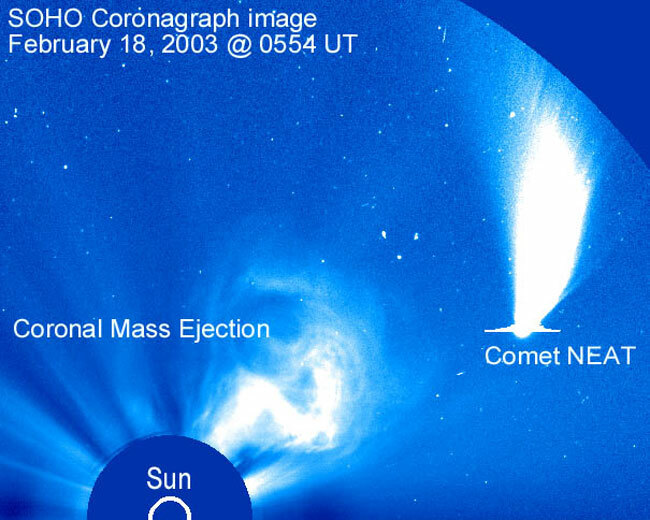 So ya....Biggy huge Solar flare to Comet at 1 AU distance. Must have been quite the show while Comet Venus was making elliptical passes prior to her recent Capture. They know it's out there via the gravity influence. Possibly Equipment specialized to finding Brown Dwarf stars will locate it. Comets undergoing their EDM machining most especially. The Galactic Birkeland currents which power our Sun seem reasonably stable in power level. A large drop off or increase would effect the Sun dramatic like. Dusty Plasma house cleaning for the Sun. It may indeed be warmer and Earth Changes Cayce spoke of. All those Ancient trunking crustal zone conduits between the Strato Volcanoes running from Washington state to South America. Edited 1 time(s). Last edit at 25-Jul-18 18:00 by Thunderbird.